Dezeen today launches a new initiative to celebrate the incredible diversity of design talent in the east London borough of Hackney. Each day from tomorrow until the games this summer, Dezeen will publish buildings, interiors and objects that have been designed in Hackney, creating a unique guide to the borough's rich and diverse design community. The showcase can be accessed via www.designedinhackney.com. If you're a Hackney designer or architect and you'd like your work featured, please drop us a line with "Designed in Hackney" in the subject line. 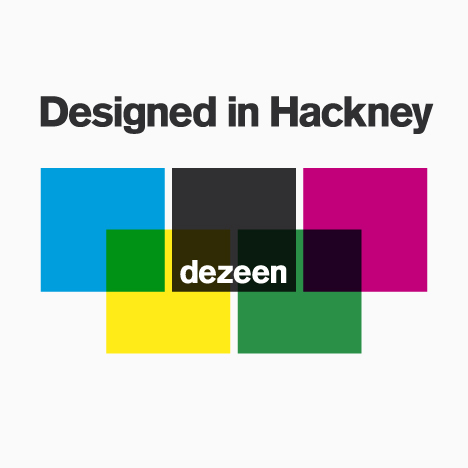 The Designed in Hackney logo has been developed by our Hackney neighbours Zerofee.